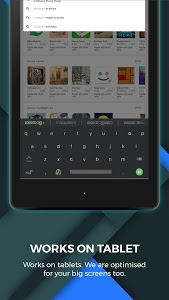 Manglish Malayalam Keyboard, commonly known as Manglish has transformed the way people type Malayalam on Android. Join 2,500,000+ users who save time using our word predictions and accurate phonetic transliteration. 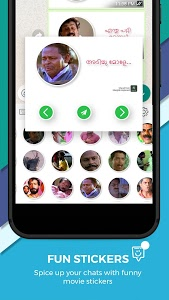 Now with Malayalam movie sticker comments. Use these amazing fun stickers in your conversations inside any messaging app. Typing with Manglish is the fastest way to type - you don't need any other Malayalam input tools. 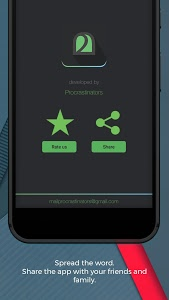 It works inside all applications on your phone - no more copy-paste! 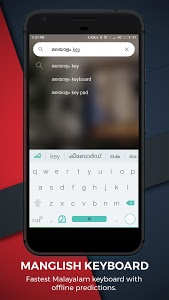 Start typing in English and choose Malayalam word for what you're typing. The most common words work without internet. Chat with your friends and family in your native language - use Malayalam on Whatsapp, Facebook or any other app. 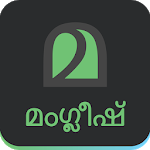 The only app that supports Malayalam dialogue stickers in Whatsapp and other chat apps. 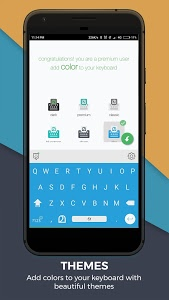 - Choose a theme that you like from "Keyboared themes"
You can choose to buy Manglish Premium from the Remove Ads section in settings. Your purchase will help us continue improving this application and pay for expenses towards running our infrastructure. 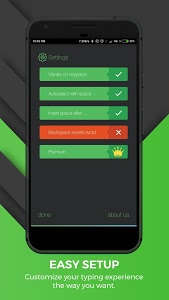 It's a one time purchase and will give you premium features forever. 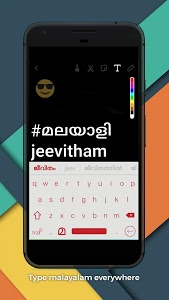 - To get ഞങ്ങൾക്കും, type "njangalkum"
Forget Handwriting Input, Indic Keyboard or other slow manual keyboards - this is the best Android Malayalam Keyboard and is fast, effortless and the top rated. നിങ്ങളുടെ സ്വന്തം മലയാളം കീബോർഡ്. Please leave great feedback - it helps us keep going! - Tab for recently used emojis ?